It's time for this "wolf" to come back to the den! In each of our past reunions - 1980 through 2000 - I always looked forward to joining with Roel Koster, our Dutch foreign exchange student who everyone knew and loved, and whom I was so privileged to host for that fateful senior year. Those of us who went to the 30th reunion in 2000 recall that Roel was confined to a wheelchair, but he had survived the first ravages of spinal cord cancer. Unfortunately, that same tumor came roaring back, and Roel died very close to the Christmas holiday in 2004. We have stayed in touch with his widow, Els, and though she won't be there to join us, I look forward to sharing our memories of Roel with all of you who knew him. 1) Both daughters left home for college (and both will have graduated by the time of the reunion!) Thus, Trish and I are "empty nesters" and only two cats left to lavish our affections on. 2) I got elected in 2008 to the San Luis Obispo City Council, with a lot of help from my friends built up from 33 years of living in this wonderful community. Since then, I have found the work of a Council member to be exhilerating, often frustrating, but always interesting. It's a great place for me to exercise my passion for city planning, for preserving the quality of life that we have in this Central Coast town, and for helping people to craft effective solutions to long-term problems. Meanwhile, in Redding my mother continues to reside at our family home, reaching the age now of 97, with a full-time caregiver and occasional visits from her three sons. She continues to be a major force in our lives, and we love her dearly. She would also be very willing to host visits from my fellow 70'ers - though of course she tires easily now, and can't be expected to "cook up a storm" as she used to do. I am REALLY looking forward to connecting with you all again, sharing the stories we can still recall within our diminishing memories, and arguing as we always have about the strange logic of our lives. It is getting ominously close to that eventful milestone we sang about at the Senior Class Assembly with Scott Keyes on bass clarinet, me and Dave Anderson on drums, Kate Haake on clarinet, Steve Gunner on guitar and (probably) Rick Phillips on rhythm: "When I'm 64". And I will never forget the time after one of our football games when the entire crew of our very attractive PomPom girls pummelled me mercilessly for having started the famous Offenbach can-can at about triple-speed. Their high-kicking routine, so meticulously rehearsed, could barely get their heels above their waists! I'm also remembering the Veteran's Day parade in November, 1969 when I conspired with my fellow percussionists in the band and wore a black armband with a peace symbol taped onto my drumhead. That silent protest earned me a photograph in the Record Searchlight! I reserve the right to add to these recollections as they come to me. Unfortunately, I also recognize that my legendary capacity for facts, characters, and scenes from our high school years is dimmed by creeping age and infirmity... but I'll do my best! John Ashbaugh posted a message. I will always appreciate Michelle's help when we were investigating options for my mother who need an assisted living place for a time after a severe bout of pneumonia in 2009. The place we were investigating had a room where Mom's roommate would have been Michelle's mother, who passed away a short time later. We found another place for our Mom, but fortunately she was strong enough to return to our home on Bonnie Drive for most of another year until she, too passed away in 2010 at the age of 96. We should all be lucky enough to live lives as long as our parents, and with the quality of life that we prefer. 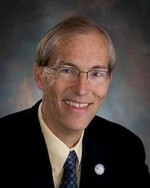 John Ashbaugh added a comment on Profile. John Ashbaugh has a birthday today. John Ashbaugh has left an In Memory comment for Profile. I have been thinking a lot about Susanne Rockwell (Sway) the last few days. I recall that she was always one of those “gentle souls” that inspired us all. She had a sharp wit but never used it to “dis” anybody – just to point out the irony of our circumstances and the challenge of the directions we were taken. Her smile was huge and her laugh was infectious. Susanne's career in journalism and in University administration suggests that she was one of the leading products of our Class of ’70, adding value to every organization she joined. I only wish that I’d stayed in touch with her more, and gotten to know her family in Davis. My deepest sympathies to Brian Sway and to their daughters. We all share this loss and I for one shall use it as a chance to reflect on the fragility of life. John Ashbaugh added a comment on Profile. New comment added. Terry has one of the finest trails in the City of Redding named for him, acknowledging his long career as the primary advocate for bicycle and hiking trails in reach of local residents. Next time I am in town, I will hike it in his memory. Scott Keyes posted a message on John Ashbaugh's Profile. New comment added. John Ashbaugh posted a message. New comment added. John Ashbaugh updated profile. View. John Ashbaugh changed profile picture.